My Compressor is Dead, What should I do? Your first step is to find out whether the compressor has a part warranty from the manufacturer. Some units come with a 5 year parts warranty, some come with 10 years. There’s a few (actually very few) older systems out there that have parts warranties of even more than 10 years. If the compressor is still under parts warranty, it may make sense to perform a compressor replacement rather than a unit replacement. This is a piece of information that most contractors will fail to try to find out and provide to you and therefore will charge you for the full replacement. If the compressor is not under parts warranty, unless you absolutely cannot afford it financially, I would advise to do an Air Conditioning system replacement rather than a compressor replacement. 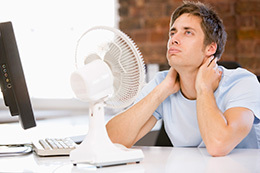 The next step is to assess the condition of the rest of the heating and air conditioning system. Rarely is it the most cost effective measure to the home owner to replace a compressor on a system that have rusted coils or frame, or that have had refrigerant leaks and other issues over time. Unless the rest of the system is in pretty good condition, a compressor replacement is a very financially risky solution for the home owner. A few important facts to keep in mind: A thorough flushing of the entire refrigerant system is a MUST for all compressor replacements. 95% of the contractors out there will not do this. Without a proper flushing of the entire air conditioning refrigerant system the likelihood of that compressor dying again within the following 2 years is HUGE! We recommend that you stick around and watch the contractor during his work and ASK him to call you out there when it’s time to flush the system, otherwise you may very well be throwing your money in the trash! Even with proper flushing, a consecutive burnout of the compressor within the following 5 years is common due to the large amount of contaminates that the burnout generates.